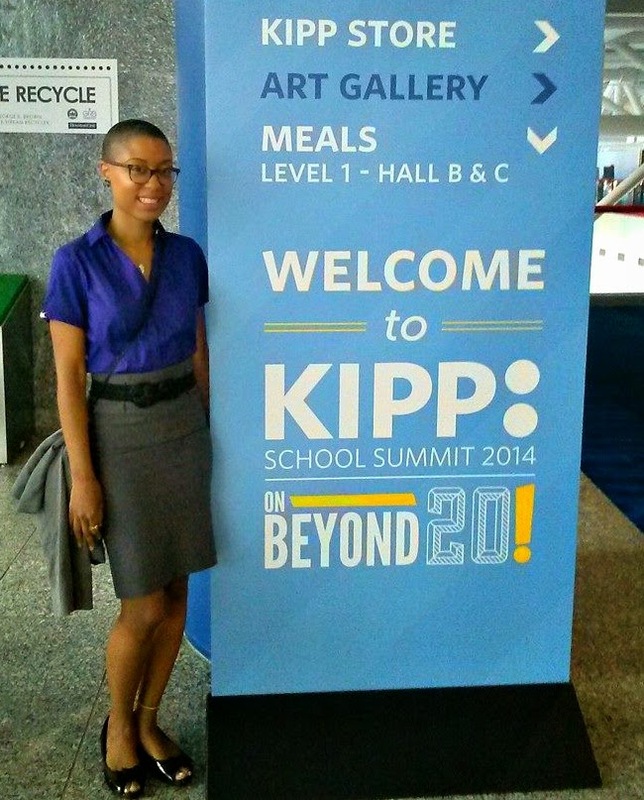 At the KIPP School Summit 2014 in Houston. I wish I could say that eighth grade was a magical time in my life, but the truth of the matter is that it wasn't. Let's rewind time for a moment and picture 13 year old Tiffany. Peeking through the cob-webs of my mind was a pixie-stick skinny brown girl with multi-colored braces, over-sized glasses, and acne that wouldn't quit. NOT a recipe for popularity I ensure you. My mother thought it would be a great idea for me to attend a new charter school called KIPP Academy which stands for 'Knowledge Is Power Program.' Unlike any public school in New York City, KIPP held classes from 7:30am til 5pm daily. Friday was our only early day where classes ended at 3:30pm, however it was also mandatory career day which meant we had to dress business professional. Saturday school was mandatory (except for me, because at the time I was a Seventh-Day Adventist). I know you're thinking this is intense but trust me it gets even better! Summer school is also mandatory. They lovingly "bribed" us with McDonalds after our weekend and summer classes, I don't know any child who would say no to a happy meal! HA! year 1999 with Mr. Frank Corcoran. I didn't get in trouble often, but when I did it was with a capitol T. To this day I can still envision my principal, David Levin's beet red face only 2 inches away rattling off all my errors in this bellowing voice that echoed down the hallways. His lip would do this little quiver if he was especially irritated. Back then as punishment we had to write the lines of the KIPP Commandments (I'm SO not kidding!) I spent hours writing them over 500 times...and do you know what happened when I turned them in? Mr. Levin ripped them into a million confetti pieces and told me to DO IT AGAIN! HAHAHA! Ahhhh those were the days! Now don't get me wrong, it may sound like every child's worse nightmare but I have NEVER EVER regretted my time at KIPP Academy. I didn't grow up with a father in my life. My positive strong male role models were my TEACHERS. Mr. Levin, Mr. Corcoran, Mr. Tanco, Mr. Martinez, Mr. Myers, Mr. Randall were my father figures. They taught me to exceed the expectations of my surroundings. They taught me to BE NICE and WORK HARD always. To ask for help whenever I need it, and give help whenever it was asked of my fellow KIPPsters. They took us on school trips to Washington DC, Utah, Pennsylvania, California! They showed us the world beyond our barrios in New York City. (Lower) Mr. Frank Corcoran and Mr. Hugh Chen & I. When I went off to High School they stalked...kept in touch to make sure I had all the college prep help I needed. There I met the remarkable Mr. Hugh Chen who now works for the KIPP College Prep High School. I will never forget the day I sat stranded on my first day of college because I didn't have the proper forms, and my mom (mother of six) wasn't able to help me. It was Mr. Dave Levin who made sure I wasn't stranded in the street somewhere in Tampa. All of these selfless men have given their hearts and soul to help children in need rise above the status quo and accomplish dreams we didn't even know were possible. 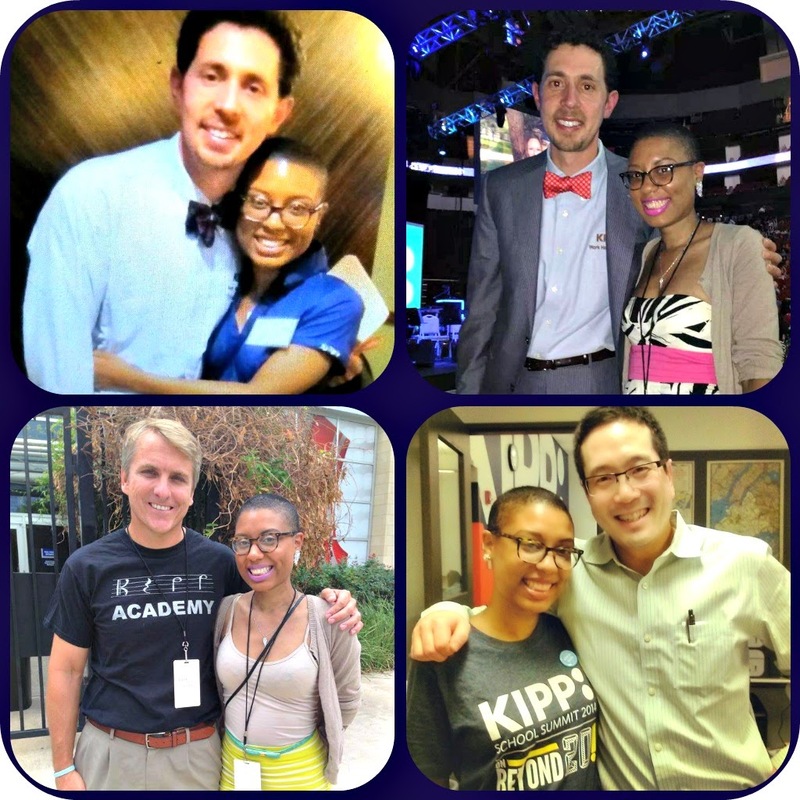 Last month on July 31st I set off to Houston, Texas for the KIPP School Summit 2014 to celebrate the 20th anniversary of KIPP! What began as two small schools, one in Texas and the other in the South Bronx grew so large that now we have thousands of students, teachers, alumni nationwide! 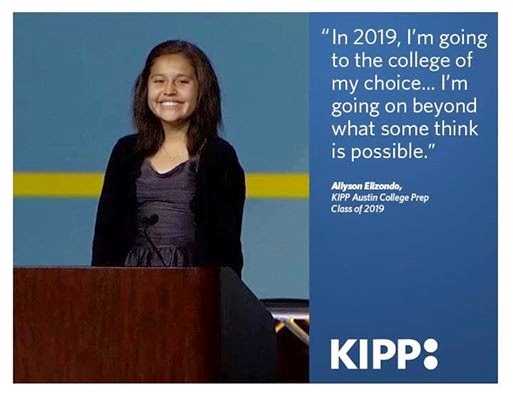 As a student of the 1st original KIPP NYC founding class I can say I am proud to have been given this chance to be a part of something bigger than myself. I am honored to have helped pave the road where hundreds of children will come to learn that they too are destined for GREATNESS. "Some people think I can't do the same things, but I'm proving them WRONG! I'm going beyond what's possible" ~Allyson Elizondo"
With knowledge comes power! I was taught this long ago and it is the strongest belief that resonates with me to this very day thanks to the KIPP Academy. Four years ago I had NO idea what lupus was until it was slid across the top of my doctor's office on an information pamphlet as I was being diagnosed! Things have changed! Now fellow patients are blogging their stories, doctors are live-tweeting their rheumatology conferences, health organizations are having open conversations on Facebook, and I host a live Twitter chat every other Sunday at 3pm eastern time using the hashtag ~> #LupusChat as well moderating the Friends Against Lupus page on Facebook. Know that you are NOT alone with lupus. If you have questions or need help, ASK. There is always someone to talk to, if I can't help odds are I may know someone who can. Don't give up hope, never discard your dreams. Like Allyson said, GO BEYOND WHAT'S POSSIBLE! I teach at KIPP now and her speech blew me away as well i was in tears. I know her struggle now so to go through that in middle school it seems like it would be unbearable. I wish i could have met you in Houston because i live there and I'm at KIPP Zenith. Reading these posts and your stories are really giving me hope and faith to stay positive. Power Testro contains the simplest and safe ingredients, that make it a safe and effective alternative among users. One will get this product online in an straightforward and instant manner, simply by going on-line.